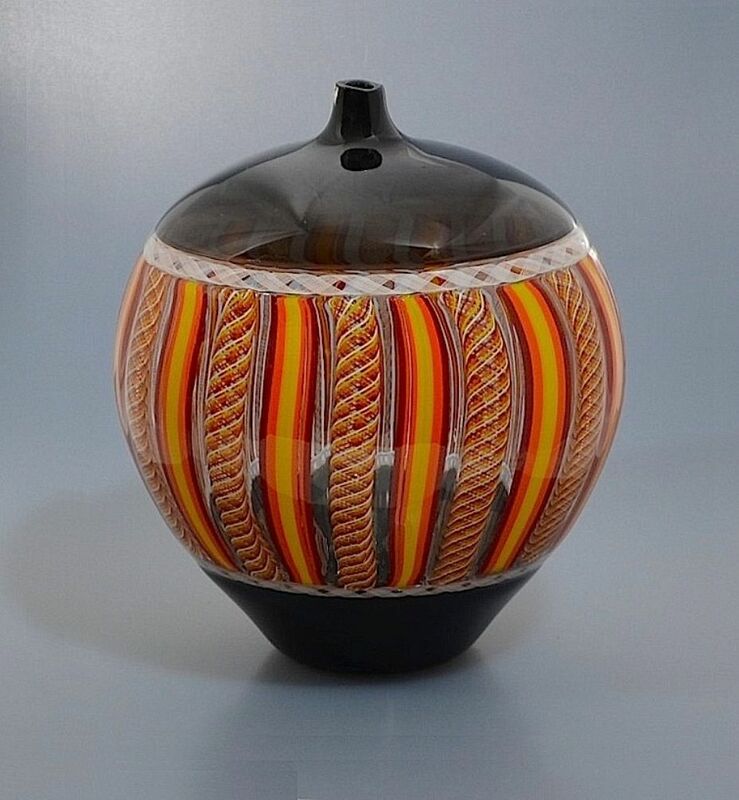 This very decorative black incalmo tessera vase was made by Mike Hunter for Twists Glass in 2007. The vase comprises three incalmo sections, the top and bottom being in black glass and the middle one encompassing a number of zanfirico and tessera canes in white black yellow orange and red. It is signed "M Hunter Twists 07 Teserra". This is not a production piece and will not be repeated.